HOME LIVING was published for the first time in Japan as a leading furnishing trade newspaper in 1973. At that time over 10 furnishing trade magazines were in circulation, however, those journals have lost much recognition over the past 31 years. As a result, currently only a couple of trade journals still exist in the region. HOME LIVING has established its position as the only national trade magazine. In addition, we have been invited as the most influential Japanese press to quite a few specialized trade fairs for the furnishing industry all over the world and to overseas production areas for furniture and household goods. We have invested a lot of energy into introducing foreign manufacturers to the Japanese market as well as enlightening the Japanese furniture industry on how to cope with current globalization changes and trends. In order to establish a framework to enable the rapid diffusion of industry information among 14 leading trade magazines, I founded the International Alliance of Furnishing Publications (IAFP) together with Mr. Joe Carroll, Furniture Today (USA), Mr. Frants Shafower, Mobelmarkt (Germany) and Mr. Keith Dunn, Australian Furnishing Trade Journal. The IAFP has been active in achieving this goal for the past 20 years. We are in our 45years anniversary from the day of establishment in 1970. We would like to appreciate you for all your courtesy. Now then, we are publishing mainly newspapers, magazines or databook of domestic/ foreign home furnishing movement as information service of industrial speciality; we would like to inform you that we are focusing on the listed business field below, hoping those will be some help to revitalize the market activities from this slowdown. Japan Marketing Research of Foreign Companies, visitation contact. Thank you in advance for your interest. We look forward to your custom, be it through advertising in our magazine or website. AIK Co., Ltd. was founded in February 1970 as a publishing company of the newspaper focusing on the Japanese furniture and interior industry. THE HOME LIVING, the major newspaper of AIK, was published for the first time in Japan as a leading furnishing trade newspaper in 1973. At that time over 10 furnishing trade magazines were in circulation; however, those journals have lost recognition over the past years. As a result, only a couple of trade journals exist in Japan these days. THE HOME LIVING has established its position as the top national trade magazine in Japan. AIK Co., Ltd. publishes THE HOME LIVING which is an authorized newspaper of furniture and interior industry. It mainly reports current situation, trends of the furniture industry and also on domestic and international furniture exhibitions. The newspaper targets furniture retailers, manufactures, department stores, GMS and other parts of the furniture industry and has a good reputation as a top trade newspaper. Journalists from AIK often get invited to furniture specialized trade fairs and exhibitions all over the world as the most influential Japanese press. We have invested a lot of energy into introducing foreign manufacturers to the Japanese market as well as enlightened the Japanese furniture industry on how to cope with current globalization changes. We take advantages of our extensive network with importers, wholesalers, retailers and manufactures in the industry. We can offer a range of market research and business consulting for the companies seeking to enter the Japanese market. In order to establish a framework to enable the rapid diffusion of industry information among 19 leading trade magazines, the president Nagashima founded the International Alliance of Furnishing Publications (IAFP) together with the current chairman, Mr. Joe Carroll of Furniture Today (USA), Mr. Frants Shafower, Mobelmarkt (Germany) and Mr. Keith Dunn, Australian Furnishing Trade Journal. The IAFP is a non-official union that reports on business, economic conditions, marketing and design trends. Each member represents the leading furniture-producing countries of the world. 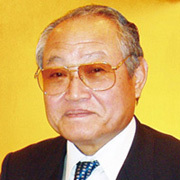 AIK Co., Ltd. operates the head office with President Nagashima as the secretary general, and organizes 44 other firms including major Japanese furniture, fabrics, and textile firms.